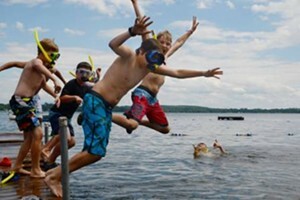 Pesty Questions | Editor's Note | Kids VT - small people, big ideas! Survive a kid's "why" phase and you'll realize children's curiosity knows no bounds. Kids are born scientists, inventors and explorers. They question everything and experiment everywhere. Granted, it often gets them into trouble, but painful experiences sure are memorable. My son, Oliver, learned a lesson that stung. On a recent playground excursion, a friend dumped a double handful of fuzzy white caterpillars into his cupped hands. Cool. A few moments passed, and Oliver discovered these particular caterpillars — hickory tussock moths — have microscopically barbed setae, which can cause inflammation. Translation: ow. We spent a painful afternoon studying the properties of antihistamine, discussing itchy hands and hives, googling caterpillars, talking about "barbs," and examining the mechanics of tweezers. Lesson of the day: Nature can be dangerous. The next week, we found some harmless woolly bears. Oliver instructed me to put them in a clear bucket, which allowed us to watch Squirty and Bob from a safe distance. Fascination eventually overcame fear, and he returned to his bug-loving self. 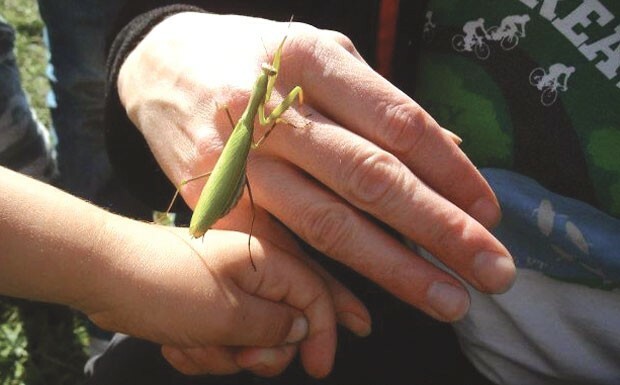 When we found a pregnant praying mantis, Oliver let the long-limbed green bug strut her way up his arm. Giving kids the freedom and opportunity to explore — and not freaking out when they use it — leads them to love math and science, topics discussed in Cathy Resmer's feature "It All Adds Up". Science, technology, engineering and math education is a hot topic in schools, but parents can do their part to encourage their little investigators. See Resmer's "10 Ways to Raise Scientists, Mathematicians, Engineers and IT Professionals" sidebar. Some areas of inquiry require more parental supervision than others. Author Fred Lane assigns some technology homework — to moms and dads — in his new book about the ways kids can get tangled up in the World Wide Web. On a lighter note, this month's calendar is full of fun for young biologists, problem solvers and engineers, including "Science & Stories" at the ECHO Lake Aquarium and Science Center, a day of brainteasing with Destination ImagiNation, and critter engineering at the Audubon Center in Huntington.